I can’t shake the feeling that my hike is selfish. I’m leaving my husband, my family, my friends, 3 jobs, my business, my house. I’m missing weddings and baby showers (and births!). I’m losing 150 days of time with people I love. I’m spending thousands of dollars instead of putting money toward my student loans or retirement. “Now I am more comfortable talking with people about my experience. When they say, “I would love to do something like that,” I know how to respond. Isn’t it amazing to think that we can inspire others to live up to their potential, to give them permission through our actions to make choices that go against the mainstream? Thanks to this post by Trials author Rachael and the comment from Alix that led me to this quotation. So these intangibles are all well and good, but I wanted something a little more concrete. I decided over a year ago that I wanted to hike for a charity, so I could point to something solid that I had built or done with my hike. It also provides an extra level of motivation, when others are counting on you to follow through. There are so many amazing charities to choose from, and several other Trials writers have already addressed some of their efforts here and here. 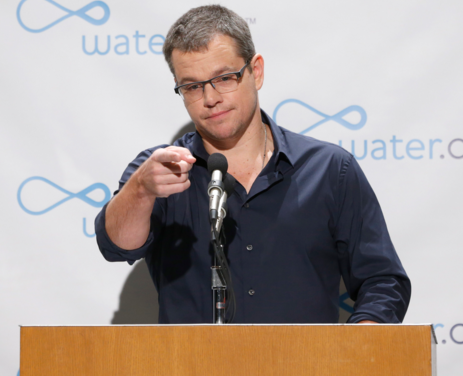 Matt Damon wants YOU… to help supply clean water. I chose water.org. First of all, Matt Damon. But also, Maslow. The base of his pyramid is meeting basic physiological needs, and the peak is self-actualization. As a psych major, I heard plenty about Maslow, and now as a dietetics and nutrition student, it makes even more sense. Water is the single most essential and basic human need. Without safe water, everything else is irrelevant– food, education, medical assistance – none of it matters if a child dies of a water-borne disease in the first year of life. It’s also something that particularly effects women and children, who are often in charge of domestic tasks. “Domestic” in this case means walking 4 miles a day or spending 6 hours just to procure clean water for their families, time that could otherwise be spent in school. As I say on my fundraising page, I have the luxury of choosing to hike the Appalachian Trail, walking 20 miles a day and filtering all the water I need along the way to ensure I stay hydrated and healthy. Millions of people don’t have the luxury of choosing their water source, or cleaning it, or having extra to give their children. 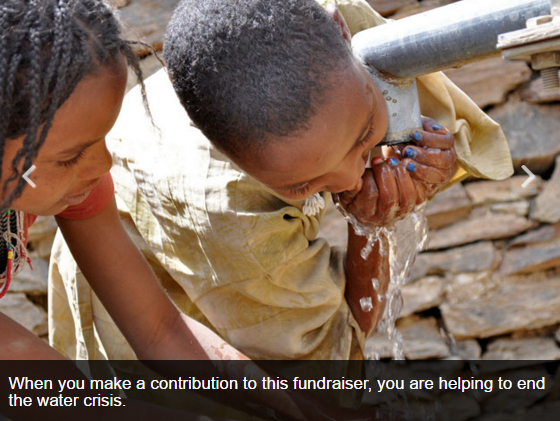 So, I’m aiming to raise $2,189 for water.org, $1 for every mile I hike, which will supply 87 people with clean water for life. I’m already at $465 thanks to the generosity of my Facebook friends. Want to join? Pledge 1 penny per mile for a super-helpful $21.89. Of course, any amount is fabulous and helpful. Yesterday (March 22) was World Water Day. As the Google homepage said: Every Drop Counts. As always, I’m available for questions and comments below, or at [email protected], and on Insta @nicholeyoung1. I like your cause and would also like to help with your fund raising effort. I will pledge the .01 / mile like you suggested for $21.89. If things improve over the next 5 to 6 months hopefully I can do more. good luck on your thru hike from a hopeful future thru huker. Thanks Coach, that’s fantastic!! Honestly every little bit is super helpful. They do impose a 90-day max on fundraisers so you have til June 15th, so go for it whenever you’re comfortable. THANKS!!! And keep us posted on your thru-hike plans! !